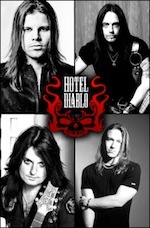 Hotel Diablo’s new video Psycho, California has been officially released. The video was recently shot in Los Angels with nine-time Emmy Award-winning and MTV Video Music Award-nominated director Fabio Jafet (Pitbul,KISS, Aokon, Enrique Iglesias, Children Of Bodom) and can be viewed below. The band debuted the video to a capacity crowd at House Of Blues on Sunset Strip in Hollywood on Saturday, Feburary 23rd. The set included cameos from Chris Wyse (The Cult/Owl) and Gilby Clarke (Guns N’ Roses, Rockstar Supernova). 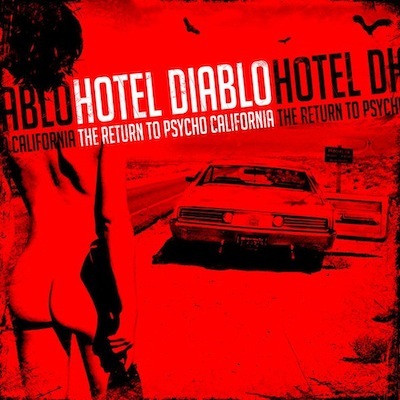 Hotel Diablo’s The Return To Psycho, California was released in September through Scarlet Records. The CD was produced by Gilby Clarke (Guns N’ Roses, Rockstar Supernova). The Return To Psycho, California is also available digitally via iTunes, Amazon and other online music retailers. Slayer have responded to drummer Dave Lombardo’s claims over why he’s been replaced for the band’s upcoming Australian tour. Lombardo this week said he’d been told by band’s lawyers that his services wouldn’t be required. He reported the move had been made after he questioned Slayer’s business model, which, he claimed, meant that only 10% of their touring income went to the members. Confirming they’d be touring with former drummer Jon Dette, the band say in a statement to Blabbermouth. 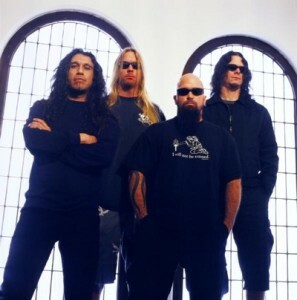 “Slayer does not agree with Mr. Lombardo’s substance or the timeline of the events, except to acknowledge that Mr. Lombardo came to the band less than a week before their scheduled departure for Australia to present an entirely new set of terms for his engagement that were contrary to those that had been previously agreed upon. The band was unable to reach an agreement on these new demands in the short amount of time available prior to leaving for Australia. There is more to the account than what Mr. Lombardo has offered, but out of respect to him, Slayer will not be commenting further. Lombardo first left the band in 1986, citing “financial concerns” as the main reason for his departure. He returned the following year then left again in 1992, coming back once more in 2001. Slayer are currently working with Exodus guitarist Gary Holt in place of Jeff Hanneman, who’s still recovering from a near-fatal spider bite he sustained in 2011. 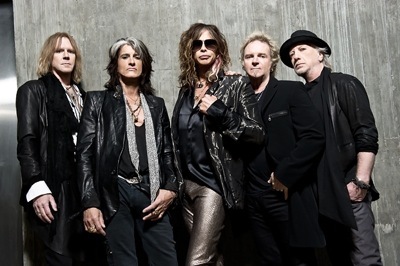 Aerosmith’s Joe Perry and Steven Tyler will be inducted into the Songwriters Hall of Fame, alongside Mick Jones and Lou Gramm of Foreigner, Holly Knight, JD Souther and Tony Hatch, reports The Associated Press. The ceremony is set to take place June 13th in New York. Tyler and Perry have been responsible for many classic rock songs including Walk This Way, Sweet Emotion and Dream On. 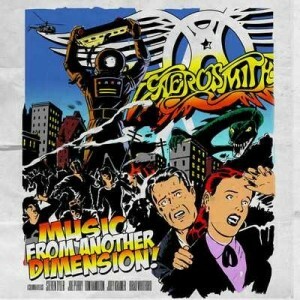 The band released their 15th studio album, Music From Another Dimension, last year, after Tyler’s two-season stint as a judge on American Idol. Jones and Gramm wrote Foreigner’s biggest hits, including rockers like Jukebox Hero and ballads such as I Wanna Know What Love Is. Knight is best known for Pat Benatar’s anthemic hits Love Is a Battlefield and “em>Invincible. Her other credits include Tina Turner classics The Best and Better Be Good to Me, as well as Patty Smyth’s The Warrior. Souther keeps busy these days with his recurring role as Watty White on Nashville, though he’s also been a longtime songwriting partner of the Eagles, scoring credits on some of their biggest tunes, including Heartache Tonight, Victim of Love and New Kid in Town. A crucial producer and songwriter during the British invasion, Hatch was as a staff producer at Pye Records and worked with bands like the Searchers and even helped on a few early singles by David Bowie; he also teamed with Petula Clark on her hits Downtown and My Love. 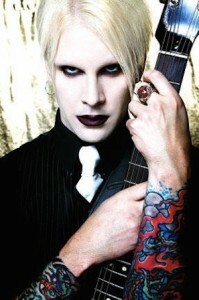 John 5 has been a busy artist this last year in between tours with Zombie and solo undertakings. John 5’s extraordinary talent has led him to be an integral part of rock icon and auteur filmmaker Rob Zombie. This last year John 5 stepped up to fully to score Zombies upcoming movie release Lords Of Salem, and once again partnered with Zombie for the new album Venomous Rat Regeneration Vendor. The Lords of Salem tells the tale of Heidi (Sheri Moon Zombie), a radio station DJ living in Salem, Massachusetts, who receives a strange wooden box containing a record, a “gift from the Lords.” Heidi listens, and the bizarre sounds within the grooves immediately trigger flashbacks of the town’s violent past. Is Heidi going mad, or are the “Lords of Salem” returning for revenge on modern-day Salem? John 5, in full collaboration with Zombie, created Venomous Rat Regeneration Vendor, which will be released on April 23rd, and includes the first single, Dead City Radio and the New Gods of Super Town, along with such tracks as Ging Gang Gong De Do Gong De Laga Raga, Lucifer Rising, Behold! The Pretty Filthy Creatures and a heavy-duty cover of Grand Funk Railroad’s We’re an American Band. Last year, in addition to working on all of these music projects and recording, John 5 dominated the touring world in 2012, blowing away audiences with his guitar mastery on the road with Megadeth, then with Marilyn Manson for the Twins of Evil Tour. Skid Row have signed with Megaforce Records. The band’s new EP, United World Rebellion – Chapter One, will be released in North America on April 16th, with an international release date to be announced shortly. 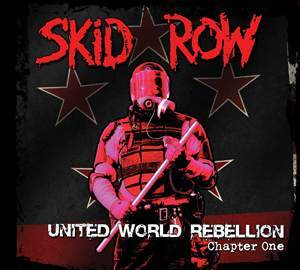 United World Rebellion – Chapter One is the first of three EPs that will be made available over the next 12-18 months. Adler, the new band led by former Guns N’ Roses drummer Steven Adler, announced the first part of their Back From The Dead tour. The first string of shows kicks off March 2nd at Ramona Mainstage in Ramona, California and continues through late July. The band are currently finalizing the European leg of the tour, which is slated to start in mid-September. The European tour will include dates in Spain, Germany, Italy, Holland, France, Belgium and the United Kingdom with dates and venues to be determined. Adler’s debut album Back From The Dead was released on November 26th through New Ocean Media. Recorded in Los Angeles with producer Jeff Pilson (Foreigner, Dokken) and mixed by Jay Ruston (Anthrax, Stone Sour), the CD consists of 11 tracks, ranging from adrenaline-pumping rockers to arena-rock anthems to powerful, heartfelt ballads. The album features guest appearances by Adler’s former Guns N’ Roses bandmate Slash and Rob Zombie/ex-Marilyn Manson guitarist John 5. 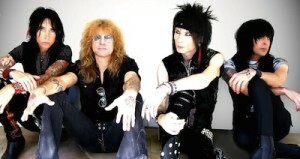 For more information, check out the band at www.adlerrocks.com and www.facebook.com/adlermusic.